2017 looks to be a fantastic year for sea glass lovers. 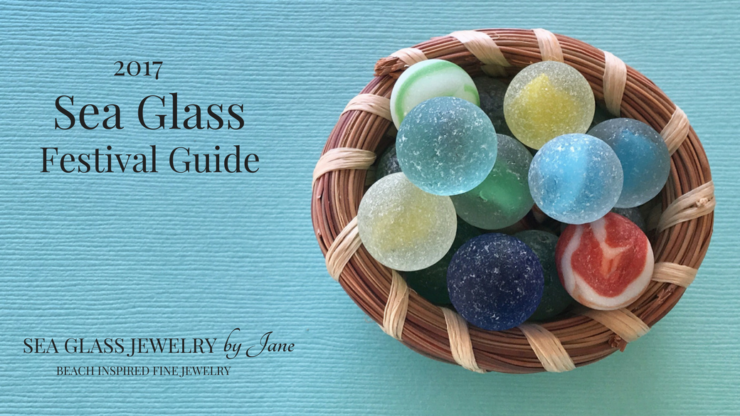 From sea to shining sea, sea glass fans from the world over will celebrate their fascination with sea glass, eager to explore its mysteries and better understand its allure. By my count, at least eighteen sea glass/ocean themed meetings are scheduled in 2017 stretching from Prince Edward Island, Canada on the East Coast, all the way west to Hawaii with many stops in between. A list of all sea glass events is below. Each year there are more sea glass converts and more sea glass themed shows. So if sea glass is your passion, and especially if you are a sea glass “newbie,” here is your 2017 Sea Glass Festival Guide. Round up your sea glass friends, choose your destination and make a “bucket list” trip to the sea glass festival near you! We welcome information about any new sea glass shows that are planned and will update this list accordingly. Cheerio! Enjoy your sea glass journey!